In this white paper, we will focus on the importance of managing the balance of heat, air, and moisture movement in specific relation to walls, floors and roofs. Successful building design and construction will embrace these three core areas of HAMM from an early design stage. A basic understanding of the core principles of building physics is provided below in relation to the key areas of heat, air, and moisture movement. Depending on climate and location managing heat movement means keeping heat in or keeping heat out. When considering heat we are therefore mainly concerned with thermal insulation. The effects of heat flow can have a significant impact on the energy efficiency of a building. 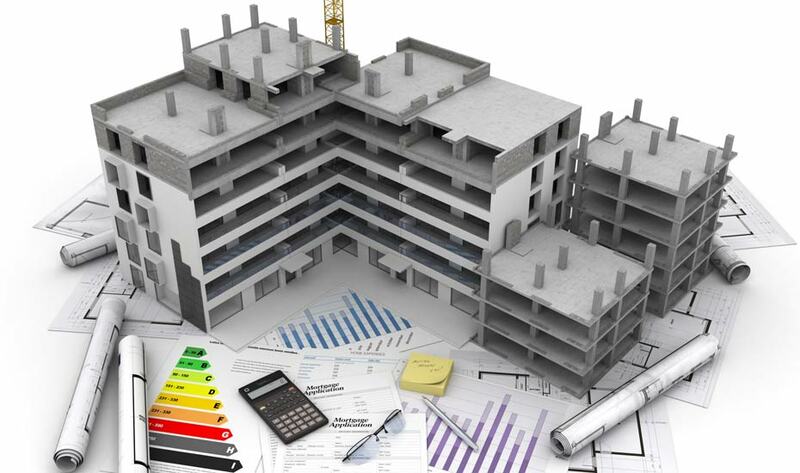 Managing energy efficiency from design to construction is increasingly important. Would we be concerned about heat loss or cooling if energy cost nothing? The fundamentals of understanding heat flow will consider the three main methods of heat transfer: conduction, convection and radiation. In managing the balance between heat loss and gain through elements of the building envelope (walls, floors, roofs, fenestrations and doors), we shall consider each of these below. Conduction relates to the transfer of heat because of the direct physical contact between materials or within a material. This occurs when energy is transferred between particles by collisions and movement. The rate at which energy is conducted as heat between two bodies is a function of the temperature difference (temperature gradient) between the two bodies and the properties of the conductive medium through which the heat is transferred. For heat movement to occur in the form of conduction from one material to another there must be physical contact. When the contact between the two materials is, broken conduction ends. 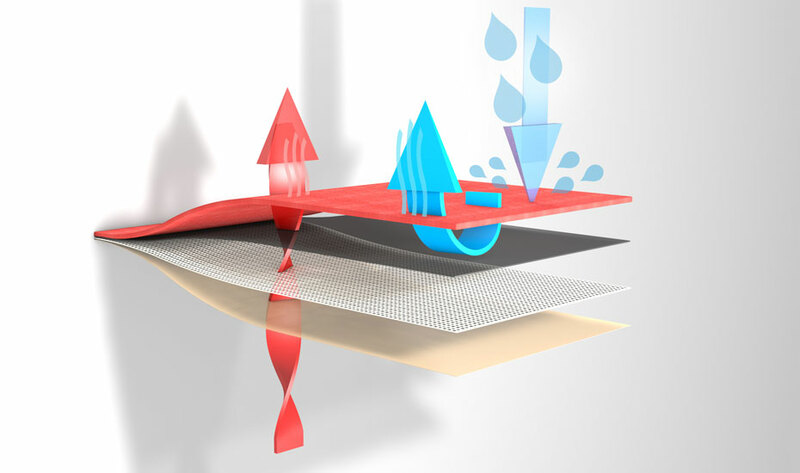 When the surfaces of different materials are in direct contact, heat will flow naturally from the warmer to the cooler until a balance is reached between the two. The rate of heat transfer which occurs will be dependent on the thermal resistance (R-value) of the materials, and the temperature difference between them. 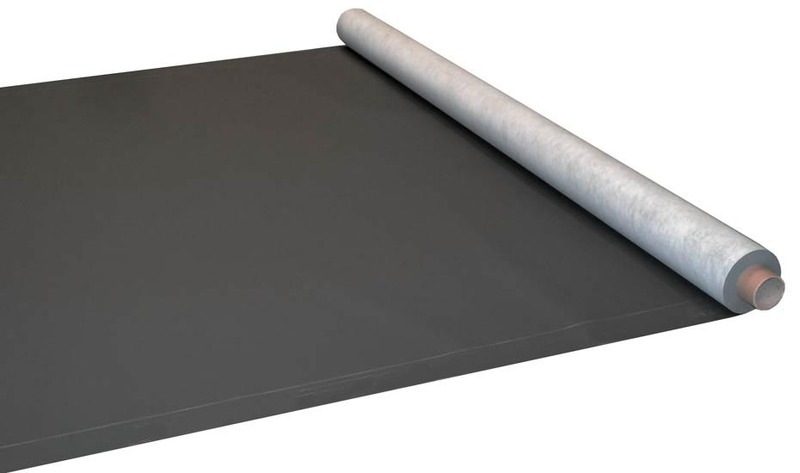 Conductive transfer can be reduced by using materials such as insulation, which are less able to conduct heat. Convection can occur when heat is transferred by a fluid medium (liquid or gas) coming into contact with materials of a different temperature. Natural convection takes place when heat is transferred by means of circulation of a fluid medium, in the case of building this is usually air. The warmer air gets, the lower it’s density, and hence it will rise relative to cooler surrounding air, a hot air balloon is a good example of this. When warm air rises, cooler air will take its place, thus causing a circulation of air, i.e. a convection current. When these convection currents move in circles they may be referred to as convective loops. An example of the occurrence of convective loops is within a wall cavity when the interior and exterior temperatures are different. Given a typical scenario of a warm interior and a cold exterior, air within the cavity which is in contact with the inside wall will warm, become less dense and rise. Air in contact with the outside wall will cool, become denser and flow downward. The movement of air rising and falling within the cavity creates a loop, transferring heat from the warm wall to the cold wall. By stopping or controlling this air movement will effective manage the convective heat loss or gain. Radiation is the transfer of heat from one material to another which occurs by means of electro-magnetic waves. Radiation does not require either physical contact of the materials or a fluid medium. A warm surface will emit infra-red radiation, which can travel across a space, even in a vacuum. When these Infra-red waves strike another object, they are converted back into heat. 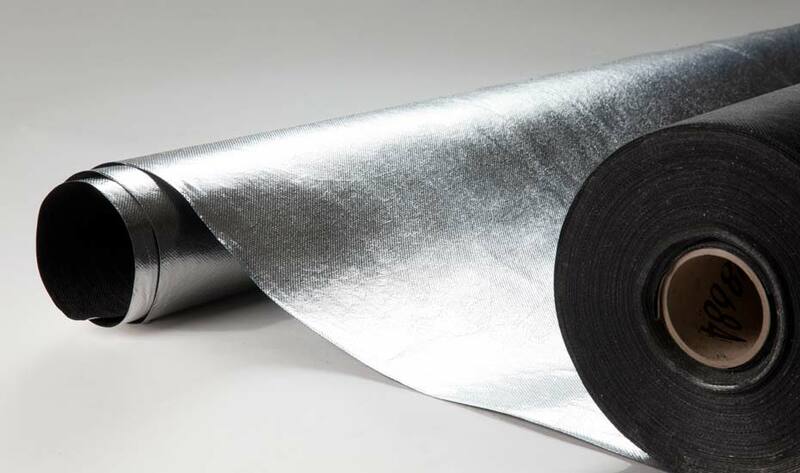 Conventional insulation materials will not reduce radiation heat loss unless they are designed to incorporate a radiant barrier such as reflective foil. The thermal conductivity (measured in watts per metre kelvin, W/mK) shows how well a material lets heat flow through it, so the lower it is, the better the material works as insulation, regardless of how thick it is. Bricks have a thermal conductivity of about 0.77 W/mK, structural timber is usually 0.13 W/mK, and insulation is usually between 0.015-0.044W/mK. Thermal Resistance is measured in m²K/W, or metres squared kelvin per watt, and expressed as an R-Value. This provides a measure of how good a material is at resisting the flow of heat. For a given material, the thicker it is, the higher the R-Value will be. As a quick way to compare the insulation properties of materials, the thermal conductivity is typically of more use than the R-Value as thickness is not a factor. The U-value is a measure of the rate at which heat can flow through a structural element. The lower the U-value of something is, the less easily heat can flow and the better it is at preventing heat losses. The approved method and conventions in the UK for calculating U-Values are given in the guidance documents ISO6946 and BR443, these govern how the basic equation given above is adjusted to reflect things like air gaps and discontinuous materials. U-Values are typically used for building elements rather than materials, so while we might refer to the U-value of a wall or roof in its entirety, it would not typically be appropriate to refer the U-value of, for example, 80mm of PUR. Fabric heat storage or thermal mass refers to the ability of materials within the building envelope to retain heat. 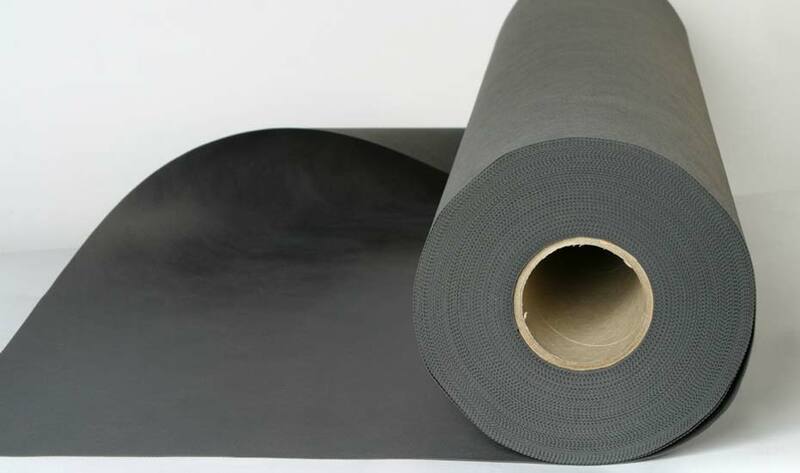 Materials with lower thermal mass such as thin metals or plastics with respond quickly to changing temperature, while materials with higher thermal mass such as stone or concrete are slower to respond. In practice this can be used to smooth out swings in building temperature, so for example, a concrete structure can be cooled overnight using the lower night time air temperature, and this will translate to lower air conditioning loads during the daytime or periods of peak occupancy. Whether this property is beneficial or not depends heavily on the usage patterns of the building in question. High thermal mass structures are typically most efficient in applications such as hospitals, where maintaining a consistent temperature 24/7 is desirable. As we move through the layers in a building element (taking a wall as an example) the temperature at any given point will vary according to the thermal conductivity of the materials used. This produces a temperature gradient which can be modelled using the above methods. In a steady state model which ignores dynamic air leakage, the steepness of this gradient is governed directly by the thermal conductivity of the individual layer making up the construction. There are two types of cold bridge typically encountered in construction. Repeating and non-repeating. A repeating thermal bridge is usually associated with elements such as timber or metal studwork intersecting layers of insulation. Repeating thermal bridges are usually accounted for by adjusting the R-value of the intersected layer proportionally to account for this reducing in insulation performance. The methods for doing this and assumptions that are made are outlined in BR443 and EN6946, although most U-value calculation software will do this automatically. Non-repeating bridges are things like floor and wall junctions, which are quantified using psi-values. These involve more complex calculations than simple repeating thermal bridges, hence are often accounted for in calculation using backstop values, or standard values given for “robust” junction details developed by the BRE and others. The dew point is the temperature at which air will lose its ability to contain moisture vapour. Below this temperature, moisture in the air will condense to form liquid water. In construction terms, a combination of the internal and external environmental conditions and the vapour and thermal resistances of the layers within the construction will produce a dew point graph. Provided the actual temperature gradient through the structure remains above this line, no condensation will form, however if the dew point and temperature gradient graph lines intersect at any point, then condensation will occur. The incorrect specification or installation of effective thermal barriers will lead to unmanaged heat loss, impacting directly on the energy efficiency of the building and its systems. In recent years’ schemes by UK and European governments has sought to improve the energy efficiency of buildings, driven by the need to reduce carbon emissions and reduce energy costs. In many cases, insulation has been a “silver bullet” to address these needs. In order to maximise the design of a building’s energy efficiency what is required is a holistic approach to a total system which fully embraces the principles of HAMM, considering an integrated approach to airtightness and condensation control. Air movement is important in the building envelope both infiltration and escape. We need to control interior conditioned air (whether heated or cooled) escaping and exterior air infiltrating that puts more pressure on heating or cooling mechanisms internally. Airtight membranes are obvious in this area whether vapour and air open/closed or variable. However, Air handling mechanical ventilation may also be a strategic fit. To support the air flow into, out of, or within a building there will be a driving force, and a hole or pathway through which the air is able to flow. It is important to distinguish between controlled and uncontrolled air flow. Generally created by a mechanical device intended to ventilate or distribute air throughout the building. Non-designed movement, caused by wind, heated air rising within the building or leaks. The key building regulations document relating to airtightness is Approved Document F1 Means of ventilation. Infiltration can be said to occur where there is air movement into a building, whilst exfiltration is related to the movement of air out of the building. In summer months, or in warmer climates, infiltration can result in humid outdoor air entering the building. During winter months, exfiltration can lead to moist indoor air finding its way into colder wall cavities, where condensation may develop, resulting in damage to the building fabric, and the development of mould creating an adverse effect on the building inhabitants. The movement of air within a building is closely linked to both energy performance and hygrothermal effects. The energy consumed by buildings accounts for a significant proportion of the total energy consumption of the UK. With around 45% of UK CO2 emissions coming from the built environment, (27% from domestic dwellings and 18% from non-domestic) changes to the building regulations relating to energy performance have a major role in the effort to move closer to meeting our targets. Much of this energy is accounted for in the space heating. Stack pressure describes infiltration pressures arising from the stack effect in buildings. As cooler air is drawn into a building at a lower level it is warmed by heat within the building, and rises and vents out at a higher level. The magnitude of the stack pressure generated is determined by the difference in temperature between the outside and inside of the building, and the building’s overall height. Stack effect is an important driving force behind passive ventilation systems, however if not accounted for adequately, it can give rise to unwanted side effects. The effect of wind blowing against a building can result in significant pressure differences from one side to the other, which will be further affected by wind speed and direction. The face of the building towards the wind is known as the windward side, and the impact of the wind will create a positive pressure from the outside, causing air to enter the building. Conversely the face of the building against the wind (the leeward side) will experience a negative pressure difference between the inside and outside, resulting in air exiting the building through holes, gaps, cracks and penetrations. Fans and HVAC systems cause movement of air within buildings and can generate large pressure changes. When more air is exhausted from a building than is supplied this creates a negative pressure effect. When air is forced through ducts that leave the building any leaks in the ducts will result in negative inward pressures on the building envelope. The presence of uncontrolled air flow in a building (infiltration) will require holes and pathways within some part of the building envelope. Holes and pathways can exist in the form of those which are designed-in, such as those intended to provide air flow or ventilation, and in the form of undesigned holes, which allow for air leakage. As Building Regulations have imposed ever-tougher energy performance criteria on the building envelope, improvements have often been driven through higher standards of insulation for roofs, walls, windows and floors. In the drive for higher standards the significance of localised areas of reduced insulation or thermal bridging leading to air leakage has become even more crucial. Air leakage through cracks, gaps, holes and improperly sealed elements such as doors and windows can cause a significant reduction in the performance of even thermally insulated envelopes, in some cases reducing their effectiveness by up to 70%. As thermal insulation requirements increase, this reduction in performance is becoming a critical issue; a consensus having emerged in the industry that, discrepancies between ‘as built’ and ‘as designed’ performance are largely attributable to uncontrolled air leakage. Architects and developers are increasingly turning to air barrier membranes as an essential part of the design process in achieving the most effective means of controlling and reducing air leaks. A common misconception when it comes to airtightness is that well-sealed buildings mean uncomfortable, ‘stuffy’ indoor environments; this is largely an effect of poor ventilation rather than airtightness itself. Buildings with very low rates of air leakage require correspondingly higher levels of ventilation as part of a balanced, holistic design approach. It is a common misconception that this increased ventilation undermines efforts to reduce air leakage, and hampers overall efficiency. It’s important to bear in mind that ventilation is controllable, and therefore can be accounted for within the overall design, whereas uncontrolled air leakage is not. 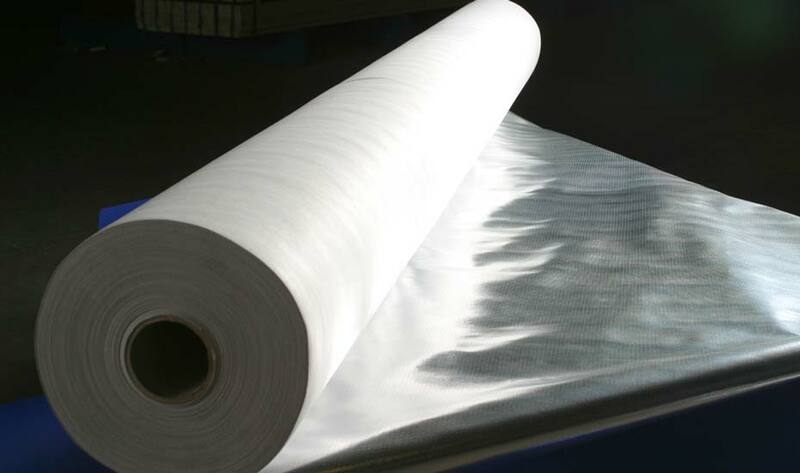 Class leading reflective vapour barrier with an R-Value of 0.78 m2K/W. Suitable for use in walls, ceilings and floors. 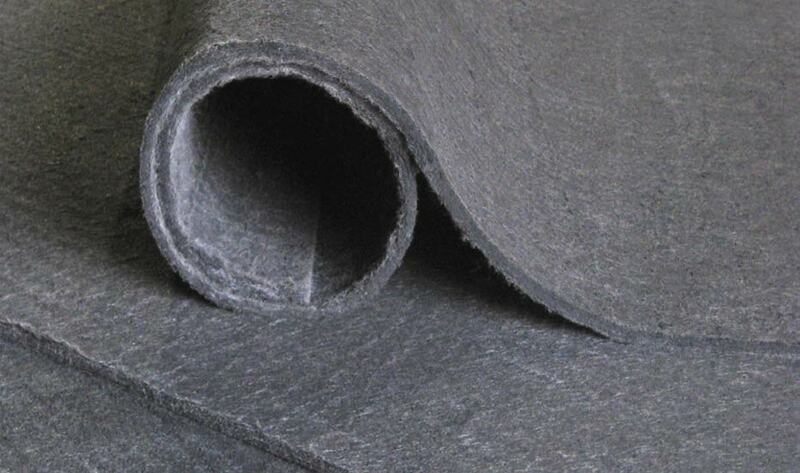 Frameshield 100 is a BBA certified breather membrane for walls. Can be applied in the factory during manufacture or on site. Non-Domestic energy efficiency calculation. Required by building control to demonstrate compliance. There are two main ways to achieve airtightness in the building envelope, internally or externally. Another way of thinking about this is “inside of the services zone’ or ‘outside of the services zone’. Traditional use of internal air barriers can be complex and costly to install, due to the need to accommodate building services such as electrical, lighting, heating and drainage systems. An internal air barrier is only as good as it’s installation. If all the service penetrations are not adequately sealed, performance will be compromised. Switches and sockets represent the more obvious paths for air leakage, but there are many others, which may be unseen. A huge variety of ‘airtight’ accessories will be required when using an internal air barrier system. Examples of these will include the airtight VCLs, pipe and cable gaskets, junction boxes, extractor fans, switch boxes, light fittings and sealing tapes. These airtight accessories are generally more expensive compared to standard non-airtight versions, and take more time, care and attention to install correctly. As “smart homes’ become increasingly popular, buildings will incorporate extensive runs of cabling, which in an internal air barrier design will require additional quantities of tape and specialised fittings to seal effectively. 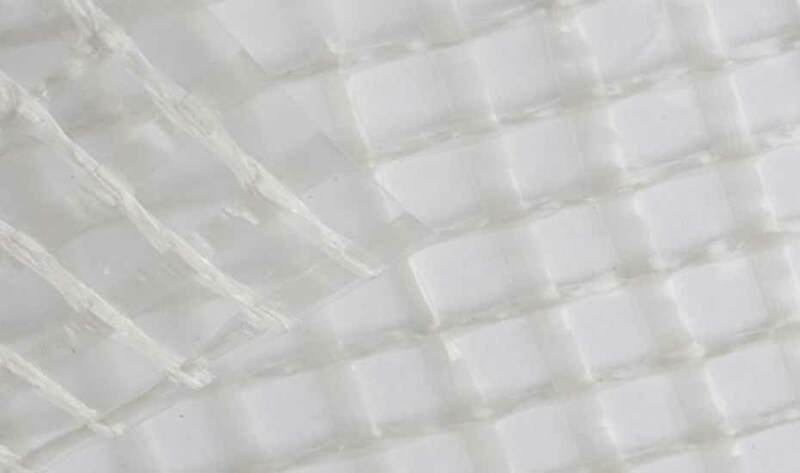 By moving the air barrier to the external side of the structural frame, the Wraptite system from A. Proctor Group allows for an almost penetration-free airtight layer, which can be installed faster and more robustly. 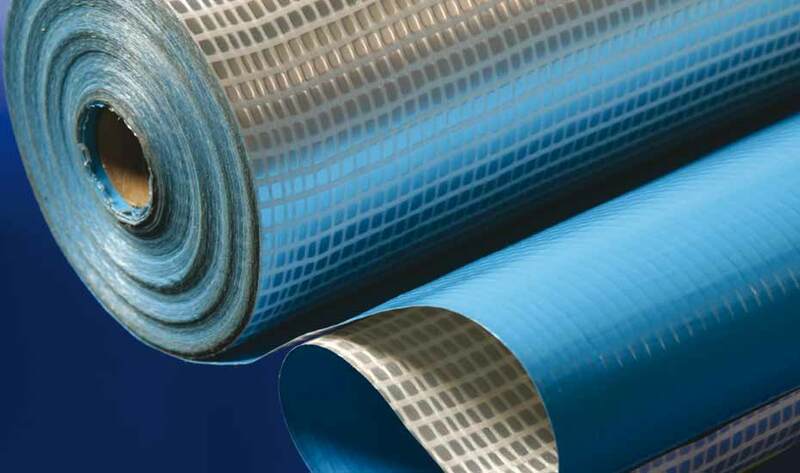 Essentially a simple system comprising self-adhesive and mechanically fixed vapour permeable air barrier membranes, plus vapour permeable sealing tape, Wraptite provides effective secondary weather protection, while preventing trapped moisture and air leakage, therefore showing the importance of the HAMM principles. Far simpler than internal options, the Wraptite external air barrier system maintains the envelope’s integrity, with less building services and structural penetrations to be sealed, and less room for error. The Anchorage at Dibden Purlieu is one of five buildings being built for Hampshire County Council to Passivhaus standard, which will help to achieve a significant reduction in energy bills for each property. In order to successfully achieve the Passivhaus standard, buildings are subject to rigorous quality control, and are required to have air tests carried out during the construction process and upon completion. The development at the Anchorage was designed requiring an airtightness level of less than 0.5. Wraptite was applied externally to the timber frame panels in continuous pieces by chartered building company Raymond Brown Building creating a highly insulated and sealed finished building, and achieving the required standard. Initial air test results of 0.43 were achieved coming well below the 0.5 air permeability target. All the more impressive, since this was recorded even before the installation of the internal VCL Procheck 500, also provided by the A. Proctor Group, whose recommendation is that advice is sought when detailing Passivhaus to assess whether a VCL is required. This will be dependent on the building system, insulation used and the standard of workmanship. The use of Wraptite, the only self-adhering vapour permeable air barrier certified by the BBA, makes a significant contribution to a building’s thermal performance by preventing lateral air movement. It also provides high vapour permeability, which allows any water vapour to escape the wall construction efficiently thereby avoiding any interstitial condensation problems. Unmanaged or uncontrolled air flow can act as a carrier for moist air, drawing it in from the outside, or pushing it from the inside outwards, into walls, ceilings and roofs. The impact of this uncontrolled moist air movement can have a long term detrimental effect on the durability and life of the building. Condensation occurs when warm moisture laden air encounters surfaces which are colder, vapour resistant and below dew-point temperature. Uncontrolled air flow will almost certainly influence the energy efficiency of the building. Initial heat load calculations for heating and cooling equipment will usually make an allowance for a level of natural infiltration or uncontrolled air flow. The higher the infiltration rate, the lower the energy efficiency of the building. Efficiency levels can be affected by both natural and mechanical air movements. The forces of wind and stack effects will lead to a level of air filtration and subsequent efficiency loss. Sealing the shell of the building and any undesigned holes can reduce the impact of wind and stack effects and improve the overall energy efficiency. Air flow within building cavities can also lead to a reduction in the energy efficiency of the building. Ensuring that all potential air pathways are identified and tightly sealed against both the building’s exterior as well as the interior will help to mitigate any loss and reduce costs. When conditioned air can pass through or around insulation into an unconditioned area the impact is a reduction in the energy efficiency of the building, referred to as thermal bypass. To overcome this buildings should be sealed in an airtight way and insulation installed directly against the air barrier, ensuring no unplanned air spaces. The key guidance relevant to airtightness compliance is outlined in the Building Regulations Approved Document Part L1A Conservation of fuel and power in new dwellings and Part L2A Conservation of fuel and power in new buildings other than dwellings. However, it is also important to take a holistic approach when considering compliance with Building Regulations. Both reducing the rate of air leakage and increasing the thermal insulation will contribute to lowering the building’s CO2 emission rate, but the implications of each approach can be substantially different. Air leakage is measured in m3/m2/hr - the quantity of air moving through the building fabric (m3), for a given building floor area (m2), over a given time period (hr). The measurement method commonly used is either pressurising or depressurising the building, and measuring the airflow required to maintain the test pressure (in the UK this pressure is 50 Pascals). The Building Regulations require the level of air leakage to be no greater than 10m3/m2/hr (7m3/m2/hr in Scotland), and in most cases achieving this presents little difficulty. Although building regulations provide a framework to exceed minimum airtightness levels (via dwelling emission rate DER in Standard Assessment Procedure SAP, and BER building emission rate in SBEM) other guidance provides better scope for substantially exceeding this. 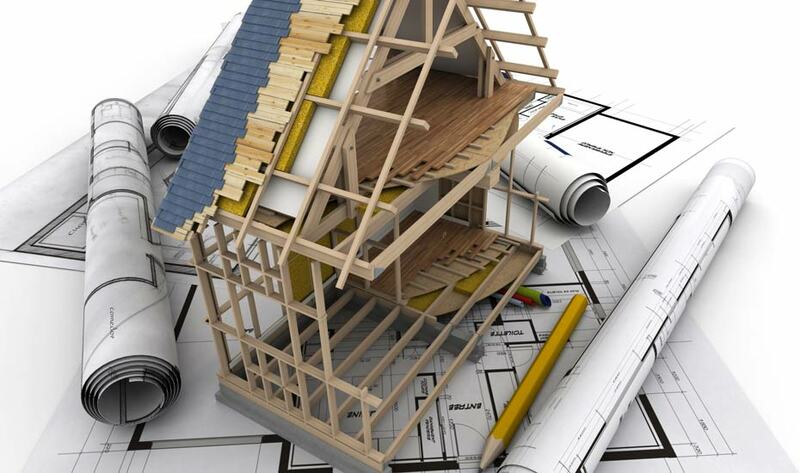 The Code for Sustainable Homes (CSH), although largely side-lined by the 2010-15 government provides good assessment tools and guidance for more Eco-conscious construction, and will likely remain as a “better practice” optional method for assessment for some time. Additionally, some projects already in planning or construction may already have CSH targets attached to planning, and or funding. Substantial benefits can be realised in exceeding the minimum base requirement. If we consider the ‘notional dwelling’ used within the SAP calculation, and vary the levels of thermal insulation (in terms of U-values) and air leakage, these benefits become clear. By varying the U-value from 0.15 to 0.05, with an air leakage rate of 7, the DER will drop by 6.7%, but achieving this reduction in U-value will require almost three times the thickness of insulation. By contrast, retaining the 0.15 U-value, but dropping the air leakage rate from 7 to 1 will achieve a similar improvement in DER, but with little or no corresponding increase in thickness, allowing a reduction in building footprint, or an increase in internal space, while reducing build costs considerably. Controlling the moisture flow in a building is fundamental to the core principals of HAMM and to maintaining the durability of the building envelope, to maximising energy efficiency, and to protecting the health and safety of the occupants. Understanding the four core vapour transport mechanisms and how these can be managed is essential to good building design and construction. Vapour diffusion can be understood as the movement of small amounts of moisture, or water vapour molecules which pass through porous materials because of vapour pressure differences. These vapour pressure differences are created because of temperature and water vapour content differences in the air. The level of vapour diffusion in buildings is determined by the combination of the force behind it (vapour pressure differential) and the permeability of the building material. Most building materials are unable to stop vapour diffusion completely, and building science uses the term “vapour control layer” suggesting that they will inhibit the process, but not completely prevent the movement of water vapour. 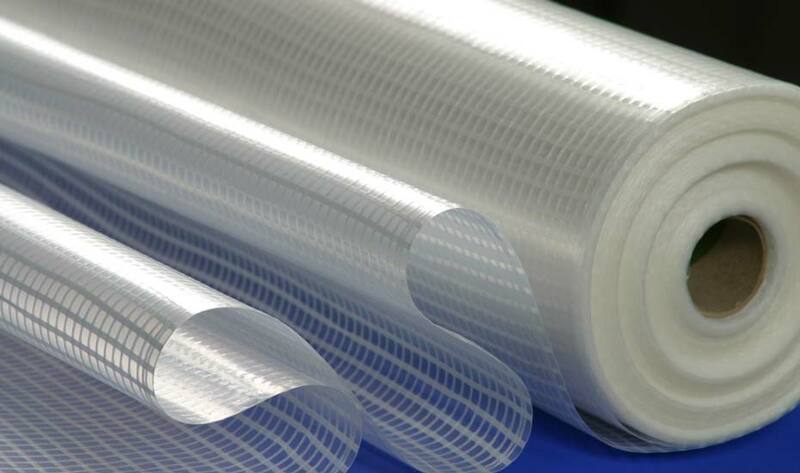 Low permeability materials are those which can significantly slow down vapour diffusion. Vapour diffusion will always flow through a material from high to low vapour pressure, typically from the warm side to the cold side, because warm air is able to hold more water than cold air. In colder climates, this will result in vapour diffusion from a heated interior to the colder exterior. In warmer climates, this principal is reversed flowing from the hot humid exterior to the air-conditioned interior. The direction of flow can also be completely reversed when damp external masonry walls are heated by the sun driving the water vapour inwards. Both controlled (mechanical air & ventilation sources) and uncontrolled (wind & stack effect) air flows can act as a transport mechanism carrying moisture in or out of buildings. Holes, cracks, penetrations and leaky ductwork may all provide potential pathways for moisture movement. As the moisture passes through the building it will condense on surfaces when temperatures are below dew point. Condensation levels will be affected by the difference of temperature between inside and outside, relative humidity, and the speed of air movement. This describes the ability of water to travel up through a building or material, against the flow of gravity. The example of how water will wick up through a paper towel following the direction of the fibres. Capillary action works best with smaller pores rather than larger holes. The fine pores found in brickwork or concrete provide an excellent mechanism to be used for this wicking action. Bulk moisture movement is typically in the form of rain or snow and flowing groundwater. For bulk moisture to enter a building this will generally require a driving force such as gravity or air pressure, and an access entry point such as a hole in the building envelope. Damaged or poorly installed HVAC systems and ductwork can also contribute to moving moisture into places it’s not wanted. A simple example of this is an unsealed bathroom extract fan duct driving moisture into a loft instead of discharging it to the atmosphere. Achieving an effective and efficient moisture control strategy depends on the design being carefully matched to the buildings function. The same envelope design that works for an office may not work well in a sports centre for example, at least not without significant over engineering and added costs. Developing a thorough understanding of how the building as a whole (and areas within the building) will be utilised by its occupants, and the corresponding moisture production is the key to achieving a robust and cost effective design. Wet trades such as plastering and screeding (and “wet” materials such as concrete) all contribute significant quantities of moisture to the building envelope which will evaporate to the internal atmosphere in the initial period following the buildings completion. This is known as the drying out period. During this period problems can arise even in buildings that have been well designed to accommodate their design moisture loading as the vapour pressures within the envelope can get significantly higher than normal. Condensation arising from this excess moisture can still cause damage to the building fabric even if it only occurs for a short period after completion. A well-designed building envelope will be able to minimise damage and problems arising from water ingress. While it’s probably unrealistic to expect the envelope to mitigate large scale water ingress, problems arising from minor ingress, for example through the rainscreen can be reduced by ensuring drying out potential is maximized. Damaged plumbing systems can also add significant moisture to the envelope. Although large scale failure cannot be mitigated by design, in the case of smaller leaks, a well-designed building envelope can prevent or minimise damage by allowing drying and moisture escape. The Centre for Window and Cladding Technology (CWCT) defines a rainscreen cladding system as follows: ‘Rainscreen is a plane of panels designed to protect the wall from rain. It may be constructed as overcladding supported on a brick or block wall or as an integral wall supported from mullions or studs spanning from floor to floor. Rainscreen overcladding is often used on refurbishment projects but may be used to advantage when constructing new buildings. Integral rainscreen walls supported from framing members are dependent on an inner air barrier to carry wind load and give the required air permeability’. Rainscreen Systems may be ‘drained and ventilated’ or ‘pressure equalised’. Although a drained and ventilated system may incorporate a notionally impervious outer layer, rain, snow or hail may still be driven by wind into the air gap, and this will require effective design to counter water ingress to the cavity and to the structure beyond. Within a pressure equalised system the design will consider the balance between wind pressure on the face of the rainscreen, and the pressure at the open joint. The air gap pressure will determine the level of water penetration, and with the intention to prevent excessive water passing through the open joints. A key aspect of good rainscreen design will also consider the drying out process, enabling moisture from the building’s interior to escape, and that any water ingress through the outer cladding can dry out. Ventilation between the outer rainscreen and the inner structure will seek to allow moisture vapour to escape, whilst an airtight seal of the inner walls is essential to minimise air leakage. Systems like Wraptite that provide a dependable secondary weatherproofing layer are an important component of effective rainscreen design, ensuring the integrity of the weatherproof envelope is maintained even in the event of damage to the outer panels, for example from wind loading. To avoid the occurrence of excess condensation, which can result in mould growth and damage to building fabric and/or contents, designers should assess the amount of water vapour likely to be generated within the building and determine the resultant increase in internal vapour pressure above that of external air. They should then consider the physical properties of the construction separating inside from outside. Designers should consider the effects of the external climate, which, being site related, is beyond direct control but may be moderated by the building’s form and orientation in relation to topography, prevailing winds, sunlight and over-shadowing. Moisture can have a significant impact not only on the fabric of the building but also on the health and safety of its occupants. Moisture and condensation can lead to mould and bacteria growth, which if left uncontrolled can cause asthma and allergies. Understanding the importance of the key principles of HAMM, their impact upon the building envelope and how to balance these at the design stage of a building is critical. The basic principal is to ensure that each of these factors is accounted for in order that the building performs as intended throughout its life. Calculating the heat flows and energy performance can be achieved by using a variety of modelling tools such as U value and SBEM calculation to more sophisticated BIM models. These models can account for insulation levels, complex life cycle assessments, and allow for optimisation of the buildings design. In addition to assessing energy performance it is importance to assess how the building design balances moisture, ensuring that all moisture within the building can dry out, and any moisture accumulation is balanced by the equal and opposite drying. BS5250 (The Code of Practice for Control of Condensation in Buildings) has been amended to specify the conditions when the traditional simplified Glaser modelling is not appropriate, and when more sophisticated modelling to BS EN 15026 is needed. The A. Proctor Group uses WUFI software, which is fully compatible with BS EN 15026, and dynamically predicts moisture movement and storage as well as condensation for each location. It is crucial that architects, designers and contractors fully embrace the principles of HAMM, and understand how to incorporate these principles into modern building design to achieve the ultimate building performance for many years to come. There is a growing understanding of the importance of condensation control for all areas of the building envelope, to control moisture, and protect both the building fabric and the health of its occupants. Previously the methods for the assessment of the likelihood of condensation have been limited and at best offered a simplified average with limitations. To provide architects and designers with a more accurate assessment, the A. Proctor Group uses WUFI® software, which is fully compatible with BS EN 15026, and dynamically predicts moisture movement and storage as well as condensation for each location. Using WUFI® enables architects, designers and developers to identify the likelihood and risks of condensation, and enables designs to be optimised for longevity of the building fabric, and for the health and wellbeing of the buildings occupants. The designer can achieve a minute-by-minute prediction over a given period of years, as specified by the designer. The programme considers a worst-case scenario with the injection of a moisture source at the source to predict the robust drying out of the fabric build up. “A further enhancement of using the WUFI® software is that external weather including driving rain and solar radiation is predicted in a cycle and the designer can choose the specific internal environment that the building will be exposed to. 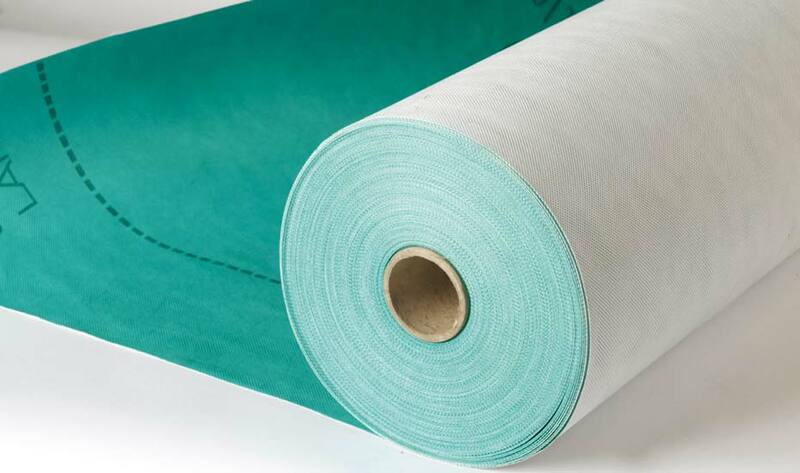 This has proven invaluable when assessing the correct position for high performance vapour control and vapour permeable membranes to ensure a healthy building fabric,” says Fairnington. BS5250 has been amended to specify the conditions when the simplified Glaser modelling is not appropriate and when the more sophisticated modelling to BS EN 15026 is needed. WUFI can be used to carry out this modelling to ensure that housing stock remains healthy, and effectively ensures that the balance of heat, air and moisture is addressed to achieve the ultimate performance. Below is a summary of the key legislation and methodology which are relevant to HAMM design strategies. BS 5250:2011 +A1:2016 is the ‘Code of practice for the control of condensation in buildings’. Includes key guidance on the risks associated with mould growth and condensation. Sources of moisture, transportation and deposition are described, along with guidance on risk management and assessment. The standard outlines where and when membranes should be used along with the ventilation requirements that may apply. Various standards exist for dealing with the U-values of building elements. Published by BRE, the conventions are intended to provide guidance on the use of the standards, and the methods of calculation for different types of construction. ISO 6946:2007 ‘Building components and building elements – Thermal resistance and thermal transmittance – Calculation method’. This standard provides the method of calculation for thermal resistance (R-value) and thermal transmittance (U-value) of building components and building elements. The calculation method used is based on the design thermal properties of materials and products. Applicable to components and elements which consist of thermally homogeneous layers, which can include air layers. The standard also provides corrective method for elements containing inhomogeneous layers (thermal bridges). ‘Approved Document L1A: Conservation of fuel and power in new dwellings (2013 edition with 2016 amendments)’. ‘Approved Document L1B: Conservation of fuel and power in existing dwellings (2010 edition incorporating 2010, 2011, 2013 and 2016 amendments)’. ‘Approved Document L2A: Conservation of fuel and power in new buildings other than dwellings (2013 edition with 2016 amendments)’. ‘Approved Document L2B: Conservation of fuel and power in existing buildings other than dwellings (2010 edition incorporating 2010, 2011, 2013 and 2016 amendments)’. Building Regulations in England and Wales for the ventilation requirements to maintain indoor air quality are set out in approved document part F. The document covers both new and existing buildings. “Approved Document F – Ventilation (2010 edition incorporating 2010 and 2013 amendments). The Building Standard for Scotland includes a series of Technical Handbooks 2016. The handbooks cover both domestic and non-domestic buildings. Section 3.14 specifically refers to the ventilation within buildings. Intended to ensure effective measures for the conservation of fuel and power are incorporated into buildings. The guide looks at energy efficiency relating to all part of the building including: heating, ventilation, condensation, maximum U-values for elements, lighting and overall CO2 emissions. Simplified Building Energy Model (SBEM) has been developed by the BRE as a software tool to provide and analysis of a building’s energy consumption. SBEM is intended for use on non-domestic buildings. The software calculates monthly energy use and CO2 emissions of a building, and provides reliable evaluations of energy use for Building Regulations compliance and for EPC purposes. SBEM is a compliance procedure and not a design tool. 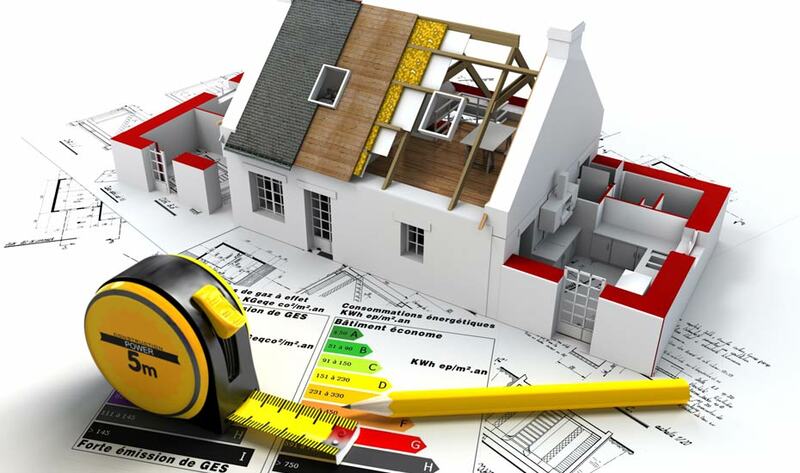 Standard Assessment Procedure (SAP) was developed by the BRE and calculates the energy efficiency of domestic buildings. Intended to provide building regulation compliance of actual buildings as designed – Dwelling Emission Rate (DER) compared to Target Emission Rate (TER). SAP is carried out at design stage and is required to produce an EPC for domestic buildings. Essentially Building Information Modelling (BIM) is a 3-D model-based process for designing and managing construction projects efficiently throughout the complete cycle of a project, from planning and design through to construction and completion. The Building Information Model enables the creation of a customised digital description of every aspect of the building. Produced collaboratively the model is updated at each stage of the project development. TRISCO is a digital instrument for thermal analysis of current building components. The A. Proctor Group has a specialist team of highly qualified and experienced technical staff, able to offer a wide range of support & services to assist architects, designers and building professionals in effectively managing the balance between the key elements of heat, air and moisture movement. The A. Proctor Group provides a comprehensive assessment using WUFI® software, which is fully compatible with BS EN 15026, and dynamically predicts moisture movement and storage as well as condensation for each location. Using WUFI® enables architects, designers and developers to identify the likelihood and risks of condensation, and enables designs to be optimised for longevity of the building fabric, and for the health and wellbeing of the buildings occupants. Condensation can significantly reduce the effectiveness of insulation, and result in damage to the building fabric. These calculations are regularly required by building control to demonstrate compliance with building regulation requirements. Calculations are performed free of charge when using our products. 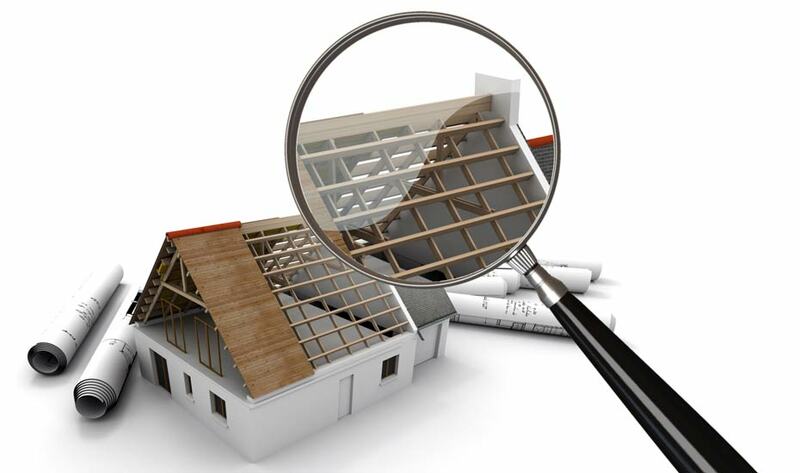 U-value Calculations evaluate the thermal performance of a building element, such as a roof, floor or wall. The building regulations require you to prove the thermal performance obtained by a building element, and a U-value calculation provides this proof. Our U-value calculations are carried out in accordance with BRE443: Conventions for U-value Calculations and can be submitted with your building control applications to demonstrate compliance. 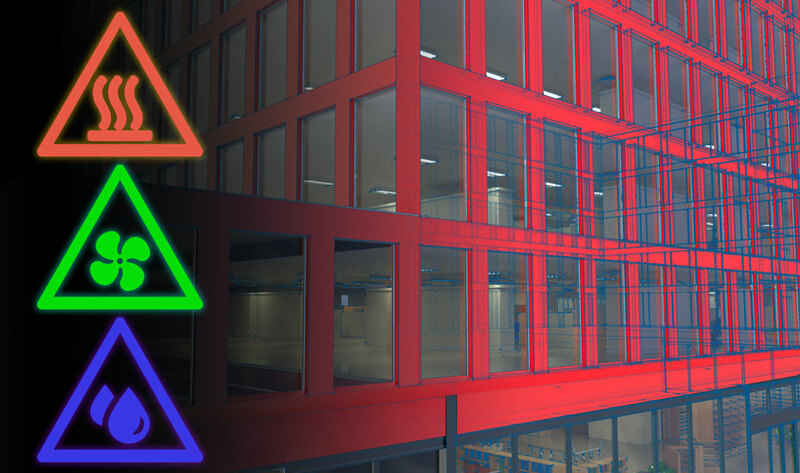 In addition to the range of technical advice, calculations and assessments outlined above, the A. Proctor Group can provide a full range of assistance in terms of BIM and technical detailed drawings relating to our products and systems to support your project. The A. Proctor Group operates out of The Haugh in Blairgowrie, which has belonged to the family since the early 1900’s and now acts as the Head Office for the Administration departments and Customer Services. The Manufacturing, storage and R&D facilities are based on the groups 4.5 acre industrial estate also in Blairgowrie. The A. Proctor Group provides a wide range of quality, innovative solutions which are designed to meet the continuously evolving requirements of the construction industry.